* am I on the right path? * if I am, show me what I am suppose to be using my art for? * how can I take who I am and what I do and be of service? OMGoodness!!!! I have answers to my questions. Check this out… in the middle of the definition is the word courage, which is the ability and willingness to confront fear. I had been second guessing the release of my Little Angels as Breast Cancer Awareness Angels (which I did yesterday) because I didn't want anyone to think I was exploiting the situation. Because I am not! CLICK HERE for the link if you want to read more about them. My intention was to find a way to offer encouragement. Now I am aware that was just fear of being judged that was attempting to hold me back. At this time I am feeling at peace and filled with gratitude. This turned out great Teresa!! 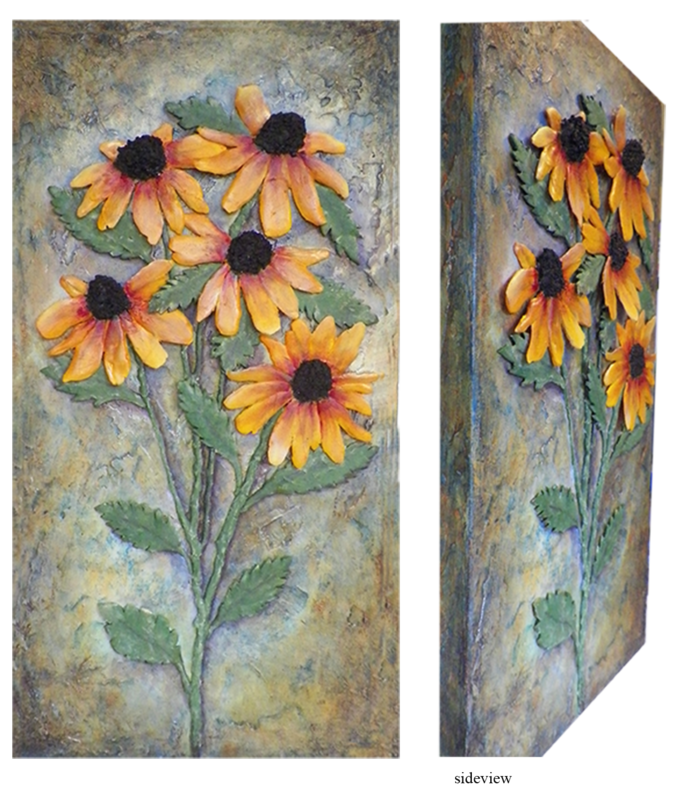 I like the soft, subdued background that really shows off and makes your black eyed Susans pop!